Hawthorne is hoping to skip a day of school and think she might've found a reason when she hears that her brother's ex-girlfriend, Lizzie Lovett, has gone missing. Hawthorne never really liked Lizzie who is everything Hawthorne is not - popular, pretty, and happy. 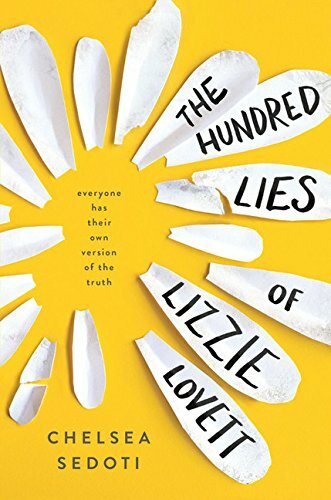 But now she becomes obsessed with Lizzie and her current boyfriend, Enzo. Soon Hawthorne is working at Lizzie's old job and consulting with Enzo about her theory that Lizzie might have turned into a werewolf. Boy, this is an odd book with an unlikable protagonist. I get it that Hawthorne is struggling in her own life so it makes sense that she would be pretty weird as a narrator, but that didn't make her any more fun to read as she engaged in self-destructive behavior. I was waiting for something big to happen but there really wasn't any big twist. That's more like real life, I know, but it made the story flat for me.